New York University’s Department of Social and Cultural Analysis (SCA) is interdisciplinary in nature, addressing topics and methodologies drawn from the humanities and social sciences. This project involved the design of a new 16,400-square-foot departmental headquarters that would gather this diverse faculty in a single space for the first time. The variety of departmental identities made it vital that the design optimize the possibilities for interaction and collaboration within an existing floor plate, enabling faculty from different disciplines to engage with students and one another in a range of settings. 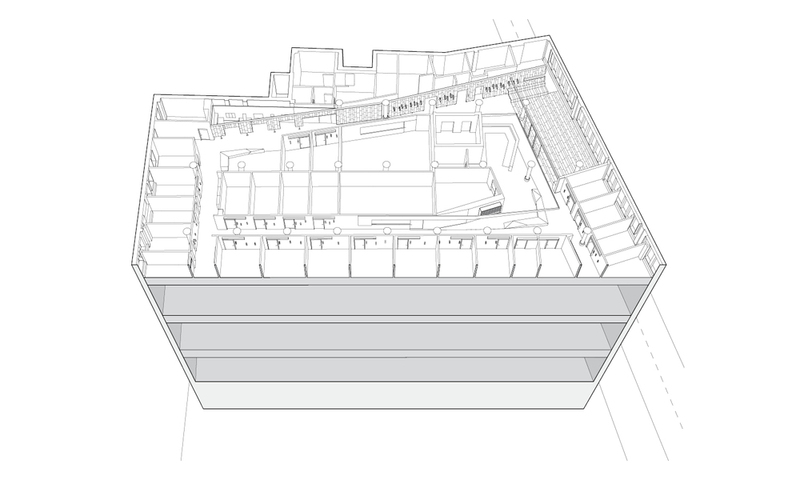 The brief—which included faculty and administrative offices, meeting rooms, and student spaces—called for maximizing the available square footage, locating faculty offices at the perimeter of the plan to allow access to windows. 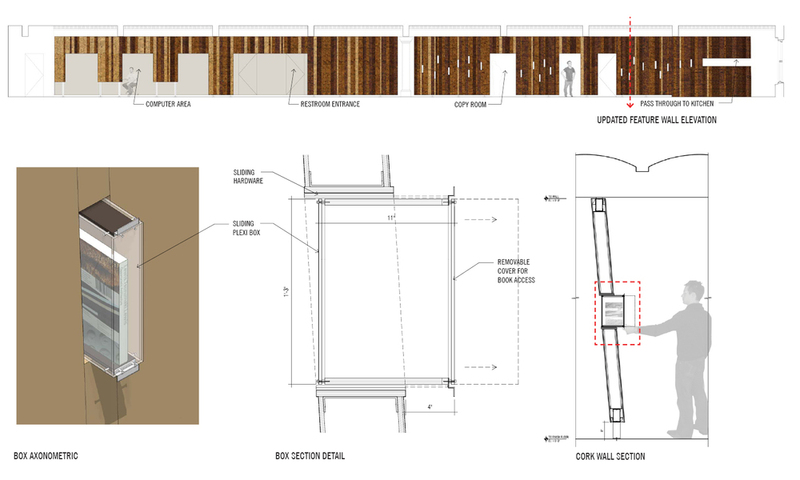 The design proposed to carve away these perimeter offices at strategic locations to introduce natural light to the interior of the plan and produce a series of public rooms. 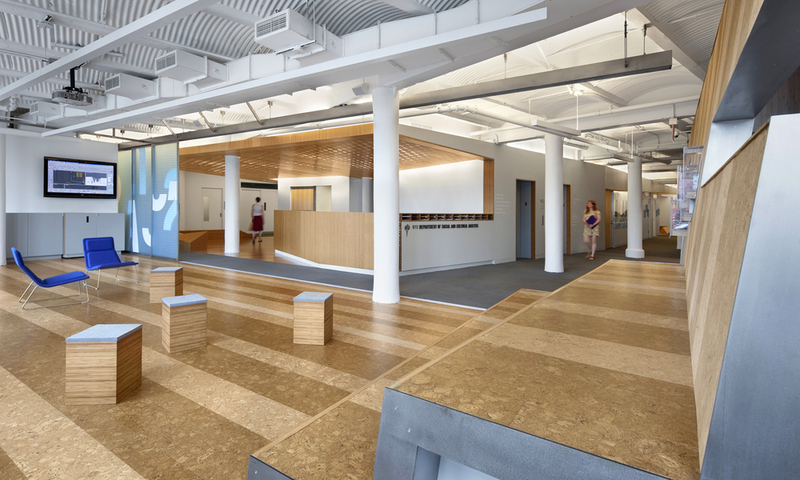 These collective spaces facilitate social interaction at multiple scales—from larger common areas to more intimate spaces for discussion and collaboration. 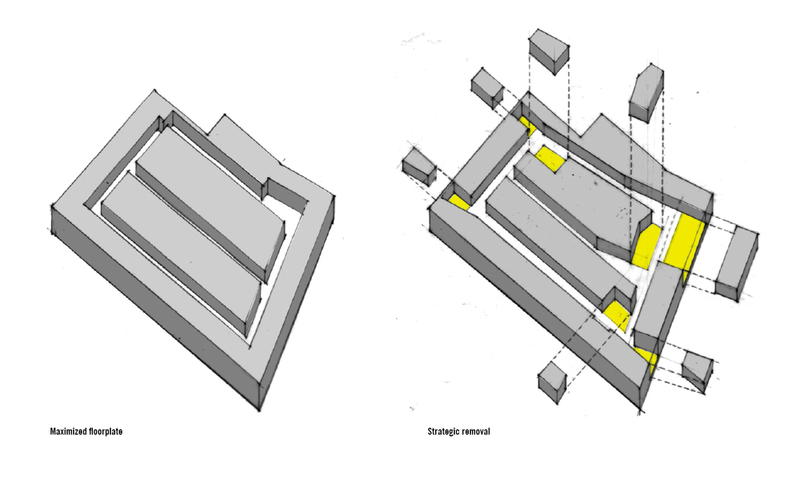 The design thus operated on a principle of removal rather than addition, beginning with the most efficient programmatic distribution and then selectively eroding the plan to generate open space. Kellogg, Craig. "United, They Sit." Interior Design. September 2009. Shroff, Kayzad and Maria I.J. Leon. "Envisioning a Creative Solution." insite. January 2011.